Hinshaw, Weldon R., head-of-household, age 23, born in North Carolina; parents born in North Carolina; first married at age 19; rented home; farmer. 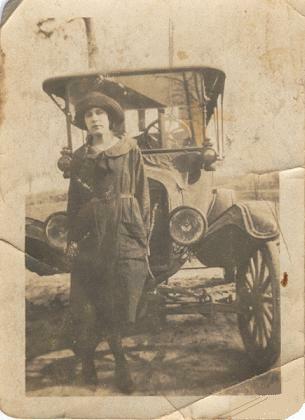 Hinshaw, Maude M., wife, age 22, born in North Carolina; parents born in North Carolina; first married at age 18. Hinshaw, Gorrel E., son, age 3 years 9 months, born in North Carolina; parents born in North Carolina. Hinshaw, Thad W., son, age 6 months, born in North Carolina; parents born in North Carolina. Hinshaw, W.R., head-of-household, age 32, born in North Carolina; completed 1 year of high school; on Apr 1 1935 was living in the same house; rented farm; occupation: farmer. Hinshaw, Maude, wife, age 31, born in North Carolina; completed 7th grade; on Apr 1 1935 was living in the same house. Hinshaw, Garrel, son, age 13, born in North Carolina; completed 7th grade; on Apr 1 1935 was living in the same house. Hinshaw, Thad, son, age 9, born in North Carolina; completed 5th grade; on Apr 1 1935 was living in the same house; attended school. Hinshaw, Billie G, son, age 8, born in North Carolina; completed 2nd grade; on Apr 1 1935 was living in the same house; attended school. Obituary of Garl Edward Hinshaw. 1930 census, Boonville Township, Yadkin County, North Carolina; roll T626-1729, ED 2, page 18A, line #33, dwelling #341, family #344. 1940 census, Boonville Township, Yadkin County, North Carolina; roll T627-2991, ED 99-3, page 6B, line #48, household #323. Forsyth County, North Carolina Death Index. 1910 census, Boonville Township, Yadkin County, North Carolina; roll T624-1130, ED 136, page 127B, line #93, dwelling #253, family #256. 1920 census, Boonville Township, Yadkin County, North Carolina; roll T625-1324, ED 192, page 6A, line #19, dwelling #90, family #7. Forsyth County, North Carolina Death Index; roll 103, pg 724. Ancestry Family Tree data "Stokes Family of Ramcat N.C." posted by "mark stokes". 1930 census, Boonville Township, Yadkin County, North Carolina; roll T626-1729, ED 2, page 18A, line #29, dwelling #340, family #343. Contribution from Catherine Crater Hinshaw. Contribution from Bobby J. Moxley (). Photo courtesy of Bob J. Moxley ().